At dr George's site. 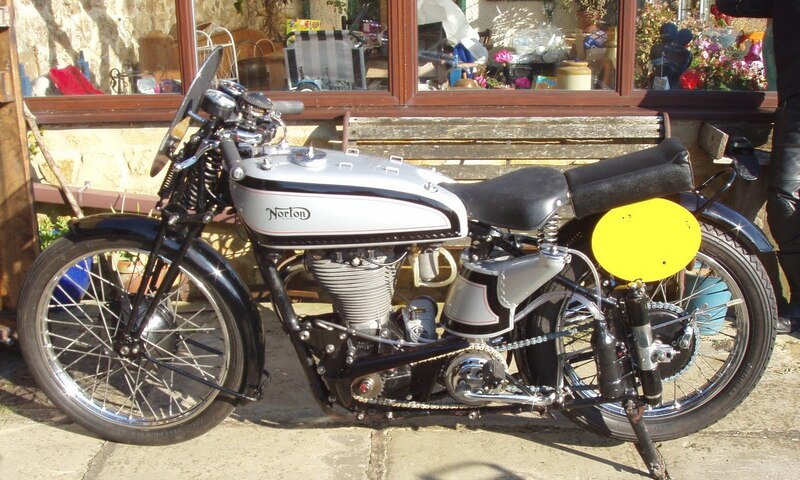 George:"The ‘M’ denotes to “Full Manx specification”. The differences from a “Standard” International are: Paired down lugs on frame. Full wrap round oil tank (this one is a new alloy item). Larger petrol tank (this one is new alloy item, and slightly smaller). Magnesium crankcases, cambox, timing chest etc. Different flywheel and conrod. Hotter cams. Manx clutch, C.R. gearbox ratios. Conical front hub, with magnesium brake plate. Megaphone exhaust. And probably a few more variations which escape me at present." 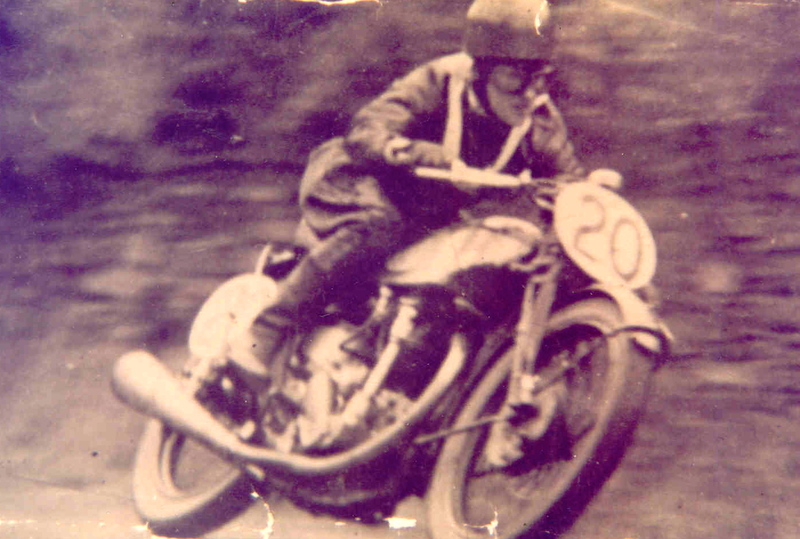 "This bike was bought by Wilfred Caunce in 1939 to race at the Manx GP. The 2nd WW stopped all that, but Caunce hid the bike, to avoid it being commissioned for the war effort. 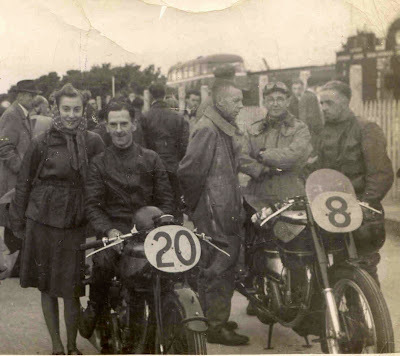 He rode in the Senior Manx GP in 1946 and came 34th and the following year he was 40th, but there was a much larger entry in 1947. 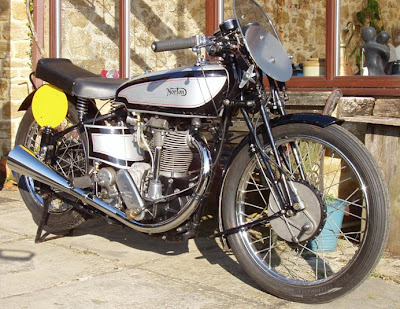 It is matching engine and frame numbers, original log book and V5C. Picture shows a replica petrol tank which will be replaced by the original. Totally rebuilt. Available when running in miles and road tests are complete. A rare opportunity to buy an original pre-war Manx with Isle of Man history and totally sorted."